The country singer, who already has a three-year-old son, Isaiah, with her husband, ice hockey player Mike Fisher, announced the happy news on her Instagram page on Wednesday. 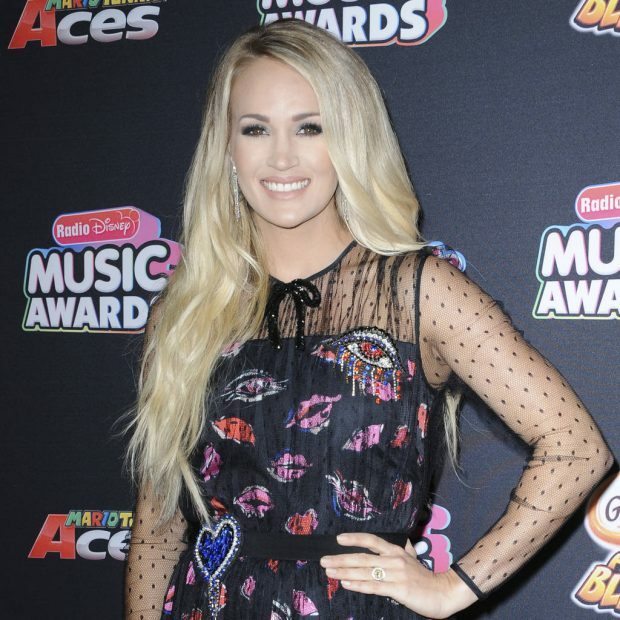 "Mike, Isaiah and I are absolutely over the moon and excited to be adding another fish to our pond," Carrie said in a video, after updating fans on her plans to go on tour to promote her upcoming album Cry Pretty. "We're just so excited and glad you guys can share this with us and be a part of it. Love you guys!"" The couple's baby joy comes shortly after they celebrated their eighth anniversary last month. The 35-year-old did not announce her due date but she is scheduled to begin her tour next May. Carrie's upcoming trek will not be the first time she has taken a newborn on tour – as Isaiah hit the road with his mum on her 92-date odyssey in 2016. The former American Idol winner's update to her fans is happier than news she shared last year when Carrie revealed she had fallen at her home, broken her wrist and cut her face so badly she required surgery. "I'll spare you the gruesome details, but when I came out of surgery the night of my fall, the doctor told Mike that he had put between 40 and 50 stitches in," she wrote in a post on her website after the incident. Cry Pretty is released on 14 September.